ACG will be exhibiting its extensive Capsules and Films & Foils range at CPhI Madrid 2018, showcasing its global capability and growth. 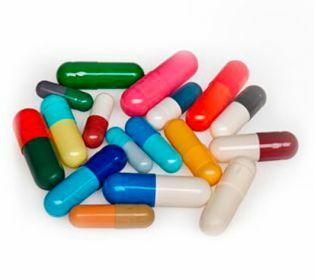 ACG Capsules offers a range of HPMC and gelatin capsules that meet the regulatory requirements for pharma and nutra industries. At CPhI, ACG Capsules will be exhibiting the traditional capsules range along with capsules for clinical trials, the new Next-Gen (Hypromellose -cellulose) capsules. Other products on display includes capsules for liquid-fill and combination-fill applications and capsules for dry powder inhalation (DPI) applications designed for efficient puncturing and dose delivery. The ACG Films & Foils business will be showcasing a wide range of polymer and aluminium-based packaging solutions including: Alumpack regulatory compliant cold-form blister foils, Alumlid Aluminum lidding foils and child resistant and senior friendly foils. They will also be showcasing, specialty films such as suppose-laminated films for suppositories and Unidose unit dose packaging films. Also on display will be high barrier packaging solutions including Ultrasafe ultra high barrier nextgen PVdC films, Dupac PVC films coated with high-performance PVdC, providing moderate to high moisture and oxygen barriers, and Ecopac a plasticizer-free, rigid PVC film. The show-stealer at the exhibition will be the company's virtual reality show "Capsules Dream Ride in 4D” experience that takes the audience on an end-to-end experience of the complete capsule manufacturing process. The video showcases the transformation journey of a capsule - from the basic raw material gelatin, to a finished product blister packed and cartoned.